Inshore- The weather has been much better this past week but still awfully rainy around the area. However, this hasn’t affected the bite as much as the rough weather did last week. We are seeing some big tarpon rolling through the pass and even some caught and released by some skillful anglers. Luke and Jess from Canada caught and released a huge 150lb+ tarpon the other night on a live ladyfish. We are also seeing plenty of snook moving through the pass and on the beaches, they are loving the free lined live baits or bucktail jigs. The mangrove snapper action is fairly steady lately around the pass too on pieces of shrimp. Also, unique to the time of year we are seeing large amount of triple tail along the dock lights of Johns Pass area at night but only where the water is moving. 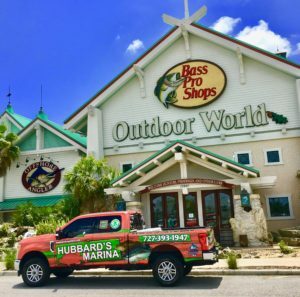 Robert Bogacki, the fishing manager at the Tampa bass pro shops, has been plucking huge triple tail off the dock lights on fly fishing set ups and custom flies he hand ties. Near shore- The hogfish are the new concentration for us since the red snapper season has ended this allows our ten hour all days to begin once again and were on the hunt for plenty of the good eating hogfish, the occasional red grouper, some shallow water mangroves, and plenty of the lane snapper, grey snapper or white grunts, porgies and occasional nice seabass. The fishing is very steady as of late, and the overcast conditions has helped the day time bite remain fairly consistent even through the day time full moon period. The mackerel and kingfish fall run should be kicking off soon as the weather cools back down a little, so be on the lookout for the return of that action. Offshore – Amberjack season has opened up, we are very excited for our first Jack trips this weekend! They love the huge live bait or large vertical jigs and they are found on the offshore wrecks, springs and huge structure. Typically you have to be 120ft or more to find consistent number of keeper sized Amberjack. This past weekend, we had a 44 hour full moon trip that did very well. 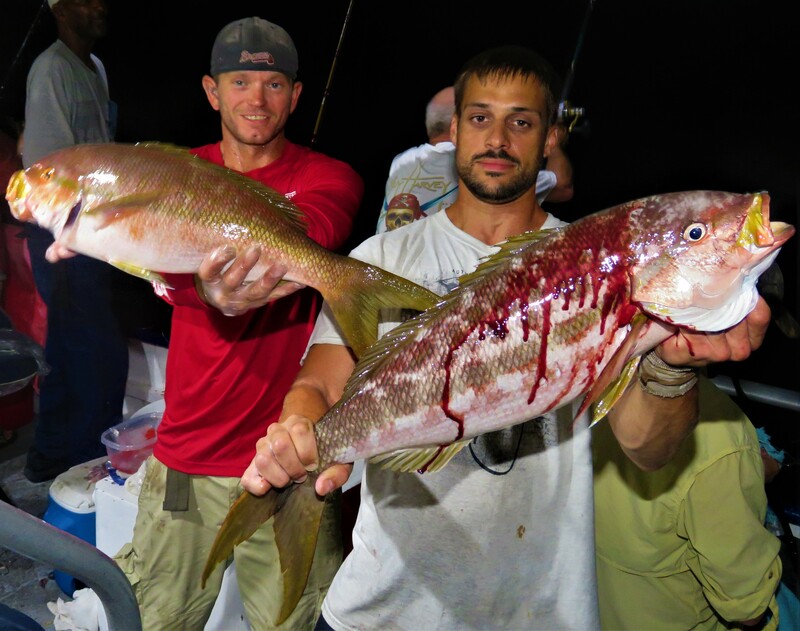 The night bite on this trip was steady and we picked mangrove snapper and big yellowtail snapper consistently through the night with some big gag grouper and the occasional kingfish mixed in. The day time bite was a little slower in the 120-140ft waters we were fishing but once late afternoon hit the snapper species kicked back up and the bite got hot once again. Keep in mind on the full moon the day time bite can get very slow typically. 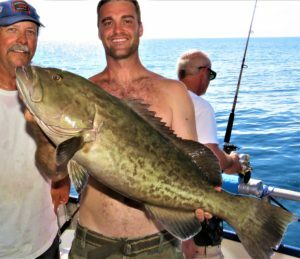 The big gag grouper bite was decent through the trip and it’s great to see them starting to move in a little more shallow, they have been 150ft or more consistently now we saw them 100-140ft through this trip and caught over two dozen thick gags. Pelagic bite around this depth has however been fairly mediocre at best with the occasional night time kingfish bite, but not much else other than bonita. Out deeper, around 160ft or more there’s plenty of big wahoo but they haven’t been too consistent as of late either. Lots of big sharks out there now though, were seeing tons of aggressive bull sharks and catching and releasing them often. We are seeing lots of birds at the bird nesting island in the late evening, during the day the island is pretty sparse since the baby birds are now mostly juveniles who are leaving the nests. However, in the afternoon or late evening we are still spotting the mother birds feeding some of the younger Juvenile birds. Plenty of manatees have been spotted lately around Johns Pass aboard the Hubbard’s Marina Johns pass dolphin tour. The sea grass beds in our back bay waters are super healthy and they are holding lots of manatees lately feeding on the turtle grass beds inside Johns Pass. Dolphins have been grouped up and very playful lately as they socialize the five local baby dolphins that have been born over the past four months. With all the local babies there’s large pods of dolphins to be spotted and they have been very active to say the least making it a great time to get out on the water. We are also seeing lots of sea turtles as of late especially on the higher tides after a long incoming tide the bigger sea turtles who are coming inshore to lay eggs on the beach are getting pushed into the passes with the strong incoming currents, and make it very special to spot these unique animals! On top of all the other local wildlife we are seeing lots of spotted eagle rays and bat rays as of late jumping around the local back bay waters aboard our dolphin tours, sunset cruise and three hour shelling cruise at Hubbard’s Marina inside Johns Pass. The shelling right now aboard the Shell key ferry and Egmont key ferry is some of the best shelling we have had locally in the past five years says our first mate extraordinaire Lani. She has been working these tours for many many years so when she said this I was very impressed to hear. They are spotting some very special shells, sharks teeth and more! Also, just like the back bay waters we are spotting tons of manatees around Shell key and Egmont key island as well. 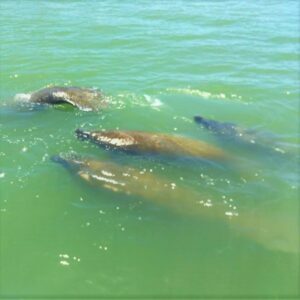 So cool to see these huge groups of manatees moving along the beautiful beaches of shell key and Egmont key islands while aboard the Tampa Bay Ferry boats by Hubbard’s Marina. There’s tons of sea turtle nests around the local area and our barrier island beaches so make sure while searching for the great shells and enjoying our gorgeous beaches you are careful to avoid the marked off sea turtle nests. Ready for a great way to see the area and relax on the water? You would LOVE the Tampa bay ferry by Hubbard’s Marina we have the Madeira beach water taxi service, a shell key island ferry, Egmont key island ferry and MORE to come as well! You don’t want to miss a great day of fun in the sun shelling, snorkeling, or cruising the bay bays in style with us at Tampa Bay ferry. Amberjack season is HERE! Plus, Gray triggerfish are open again! 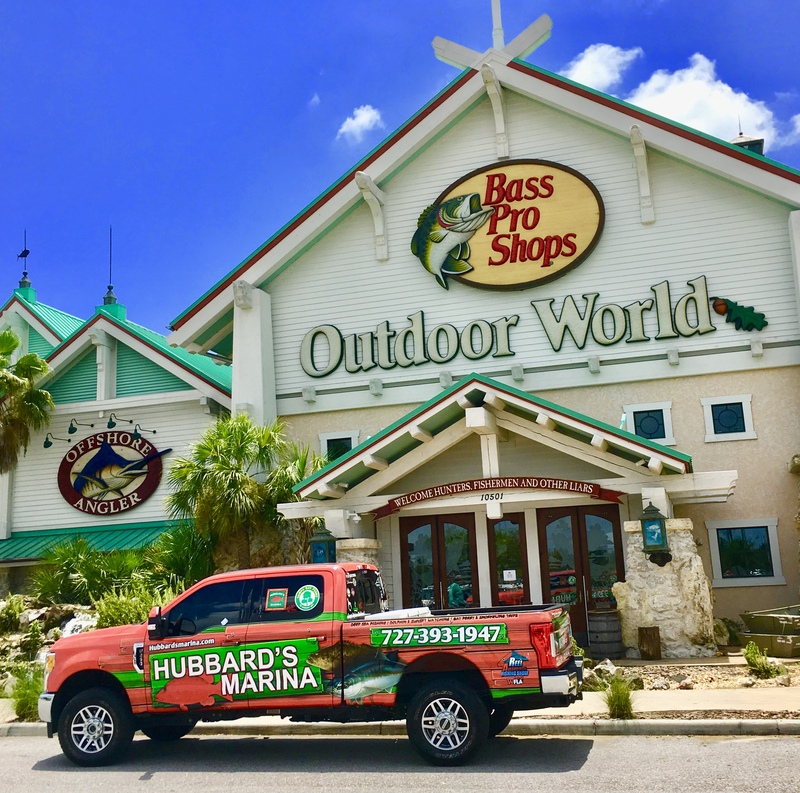 It’s a great time to book your long range fishing trip aboard our party boats or a special long range private charter trip with us at Hubbard’s Marina! We have a super light load coming up on our Tuesday August 7th 39 hour less than two dozen anglers are booked currently for 20 hours of fishing time and a two day bag limit of jacks, triggers, yellowtail snapper, mangroves and MORE! We also have a fairly light load on the Friday August 10th 39 hour deep sea fishing trip too! 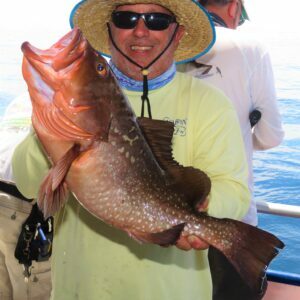 If you’re ready for some deep water fishing, time to book one of these lighter long range trips TODAY! Keep in mind, we also have 12 hour extreme trip options for Jacks and triggerfish too! Also, we have a 63 hour deep drop pelagic trip coming up August 16th which also has a super light load but we plan to go no matter what and were looking forward to plenty of tilefish, deep water grouper, queen snapper and more. Plus, hopefully plenty of wahoo, tuna and maybe some billfish on the trollers too! ACTION ALERT: We need YOU and all your friends to check out the following TWO links to easily get informed on two very important issues that face our fishery. Your action on both these links would tremendously help improve our fishery and it only takes a few moments.